1 powerful finger position. that unlocks the fretboard, so you can play chords in every position without cramping your fingers. The life-changing magic of using a capo. A simple arm trick that will help you play barre chords without hitting “dead” notes and avoid pain and injury. Steve’s index finger secret that makes barre chords a snap to play, even if you have weak hands. Is your guitar holding you back from playing the songs you love? The answer is eye-opening (Steve reveals what you can do to FIX this common problem). The critical difference between minor and major barre chords, and how to play them both. So you know which ones to use. And when. An easy way to memorize the fretboard using the chromatic scale. So you can play chord progressions over any song without any hesitation. All the notes on the 6th string. How to play 12 essential barre chords. So you can learn your favorite songs in minutes without looking up tab. How to properly fret chords. So you get the best possible sound with the least amount of effort. A simple “bouncing” technique that makes switching between chords so easy it’s almost like magic. How to hear any chord progression and instantly know the right scale to use for your solos. Not only will it dramatically improve your musical knowledge and guitar playing, but you'll also be able to solo confidently over any song. 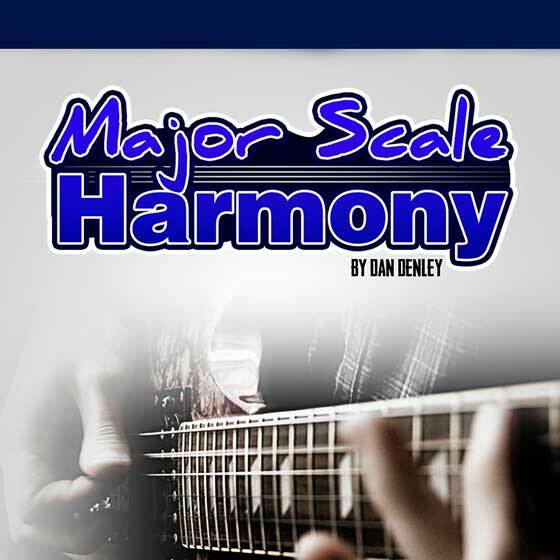 How each scale can be harmonized to produce a set of chords. You’ll discover the seven chords that come from the major scale, how they are related, and how you can solo over each one using modes. 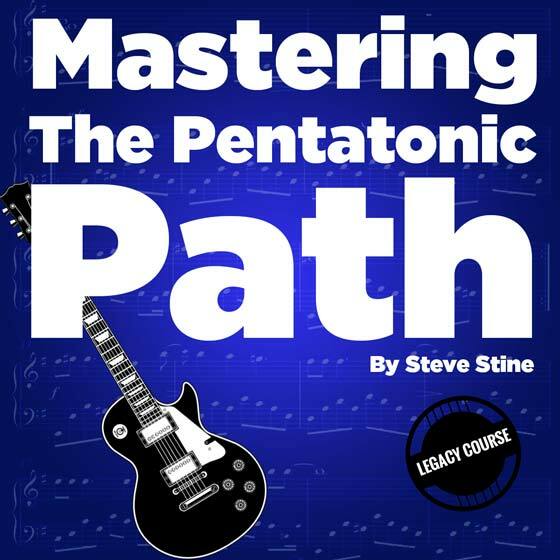 All 5 positions of the pentatonic scale, how to visualize them, how to connect them, and how to practice them effectively. This video bonus course by Dan Denley covers…. 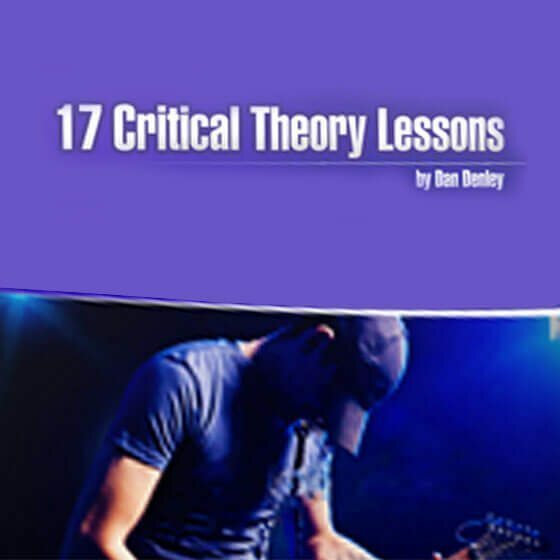 Important theory concepts every guitarist must-know. 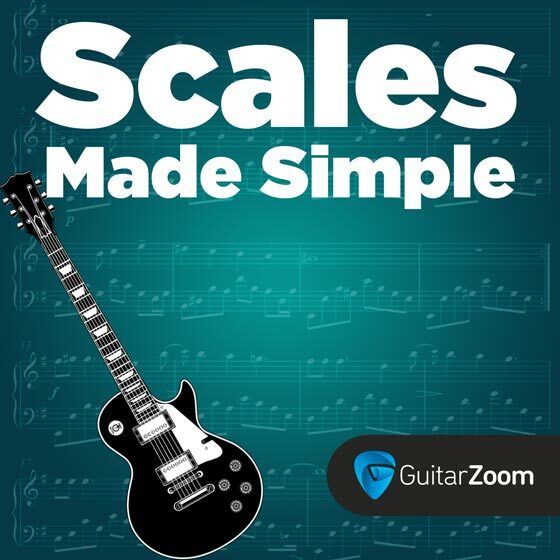 You’ll discover scales, how to use modes, the types of chords, rhythms, and common mistakes you should avoid.